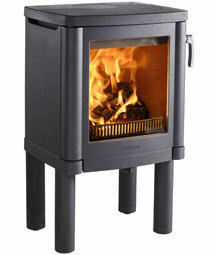 Contura 51 is modern cast iron stove with convection air. 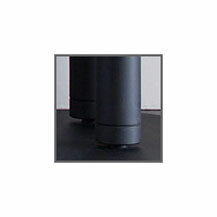 Four adjustable legs mean that it is stable on any floor. 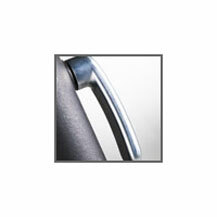 The attractive handle is chromed as standard but is also available in black, as illustrated. A modern cast-iron stove with clean lines, removable handle and single air-control for practical functionality in a timelessly classic design. The 51 is a convection stove and is one of the quickest stoves on the market to heat up - we have the Contura 51L in our own front room! The Contura 51L low-leg model is ideal for recessing into a fireplace opening - see the Contura 51L in our catalogue.